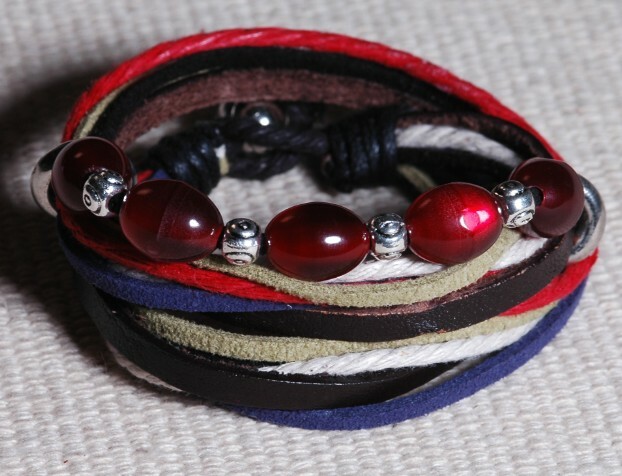 Tibetan Leather Bracelet Handmade Wrap Leather Bracelet. This Rustic Leather Cuff Bracelet was handmade in Tibet from leather, rope, colourful beads, tibetan silver. 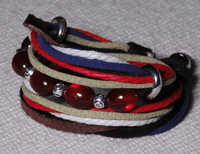 We can make it depends on your wrist size, just leave us a message.